We all love a good love song — whether it’s a romantic track or a scathing breakup anthem. Contrary to popular belief, Taylor Swift wasn’t the first artist to write a song about a significant (or not so significant) other. These artists have been at it longer than most of us have been alive, which makes their work something to respect and marvel over. Plus, who doesn’t love a good classic now and then? While it’s known that music is personal, for these artists, that sentiment couldn’t be truer. They somehow found the perfect words to symbolize their emotions over a special someone. Remember Steve Perry’s “Oh Sherrie”? See what the real Sherrie is up to today. 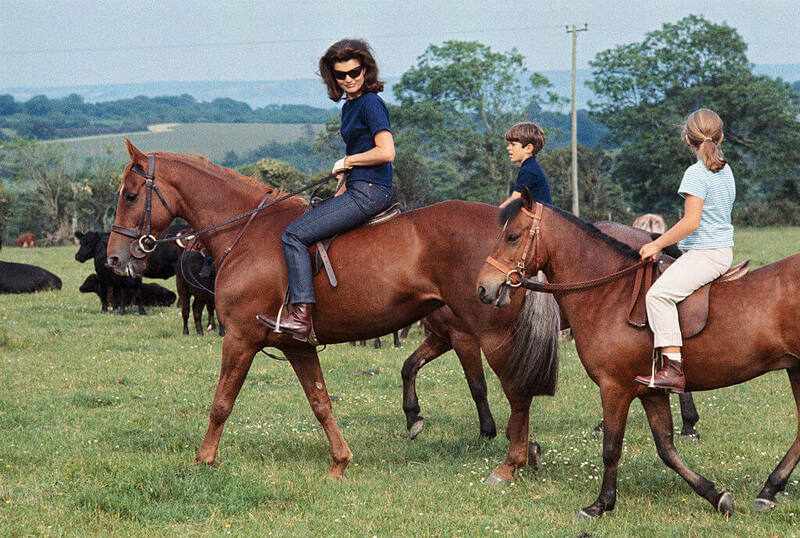 The image of four-year-old Caroline Kennedy riding a horse on the cover of Life magazine in September 1962 was believed to be the source of inspiration for Neil Diamond’s 1969 classic, “Sweet Caroline.” It turns out, 42 years after the song’s release, Diamond revealed that the song was about his then-wife, Marsha. He couldn’t get anything to rhyme with “Marsha,” and needed a three-syllable name to fit the melody, so Caroline it was! The song continues to rise in popularity even today, selling over two million downloads in just the United States alone. Of course, we have major sporting events to thank for that. “Sweet Caroline” has become a fixture at many events in the U.S., leading the crowd to sing along every time. The title track of Madonna’s third album, “True Blue” was inspired by the singer’s feelings for actor Sean Penn, her husband at the time. Unfortunately, following rumors of domestic abuse, they split after four years of marriage. The rumors resulted in Penn suing filmmaker Lee Daniels for falsely accusing him of abusing women. Oddly enough, the two are on good terms. Cyndi Lauper’s “Time After Time” was featured on the singer’s debut album, She’s So Unusual, and is pretty much the epitome of 80’s pop goodness. While it’s obviously a love song, it was actually inspired by someone that was directly involved in her music, Lauper’s manager and boyfriend at the time, David Wolff. Wolff gave her a very loud clock as a gift, hence the line about the clock ticking. He also appears in the music video. She and Wolff eventually parted ways, and in 1991, she married actor David Thornton. Cat Stevens dated actress and former model, Patti D’Arbanville, for only about two years but he managed to write several songs about her. The 1970 hit, “Wild World,” was inspired by D’Arbanville. While critics interpreted the song as a bit over-protective for a departing lover, it still holds true to this day for listeners. D’Arbanville left Stevens for Mick Jagger. 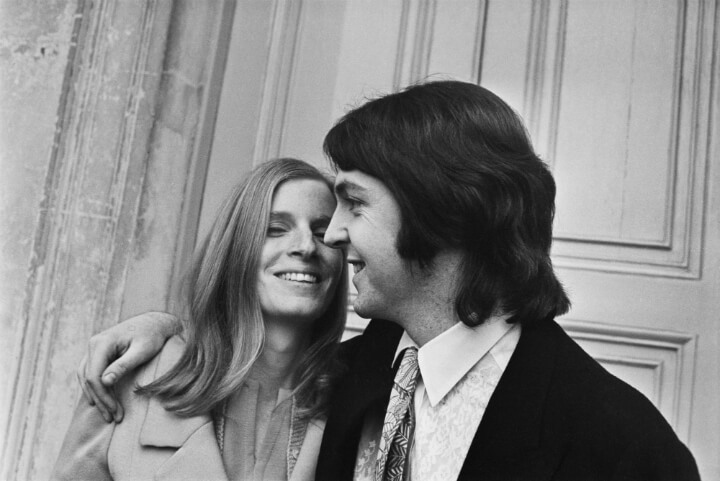 Paul McCartney’s “Maybe I’m Amazed” was inspired by none other than his wife, Linda McCartney. A tribute to the incredible woman that she was, “Maybe I’m Amazed” was written after The Beatles split and Linda served as a strong pillar of strength for McCartney. Linda later died of breast cancer in 1998. You might be surprised which icon captivated Deg Leppard. Def Leppard’s Joe Elliot maybe have only been three-years-old when beauty queen Marilyn Monroe died in 1962, but her beauty captivated him for years to come. He penned the song “Photograph” in her honor in 1983. A track about the desire for something — or someone — you can never have, “Photograph” was Elliot’s way of holding onto Monroe as he placed her photo on the single cover while recruiting Marilyn lookalikes for the video. Elliot later claimed the song wasn’t about her, but no one’s buying that! Eric Clapton’s “Layla” was originally released by his blues-rock band, Derek and the Dominos in 1970. The song was inspired by a true love story that originated in 7th-century Arabia which later formed the basis of 12th-century Persian poet Nizami Ganjavi’s The Story of Layla and Majnun. A copy made its way to Clapton. The book moved him deeply as it delved into the tale of a young man hopelessly in love with a beautiful, young girl whom he could not marry. The song was further inspired by Clapton’s then-unrequited love for Pattie Boyd, the wife of friend and fellow musician, George Harrison. 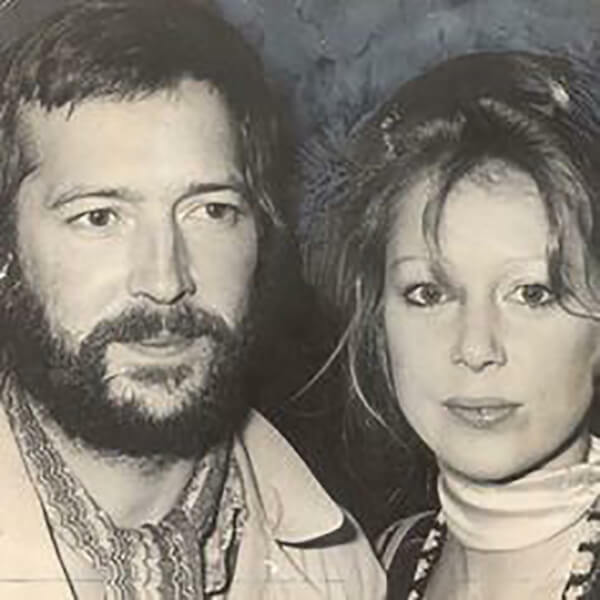 Clapton and Boyd eventually married. 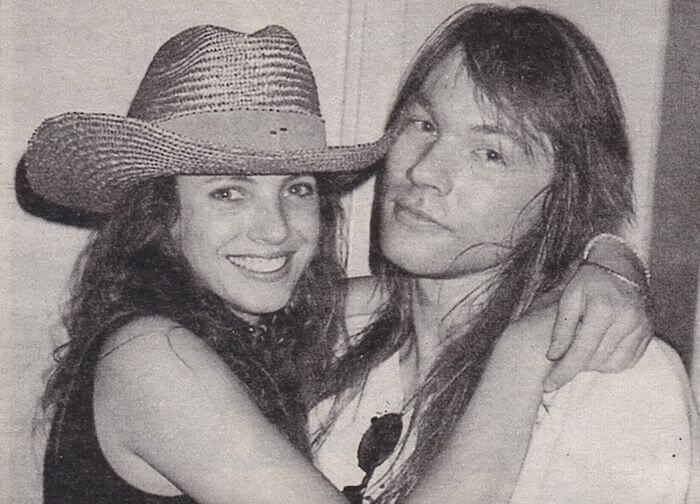 Guns N’ Roses’ classic “Sweet Child O’ Mine” was inspired by Axl Rose’s muse and girlfriend at the time, model Erin Everly. It turns out that during a jam session at the band’s house on the Sunset Strip, the track was conceived as a spur-of-the-moment kind of thing. Rose was listening to his bandmates jam from upstairs in his bedroom and started jotting down lyrics. The singer wrote the tune within five minutes — proof that the best things tend to happen naturally. 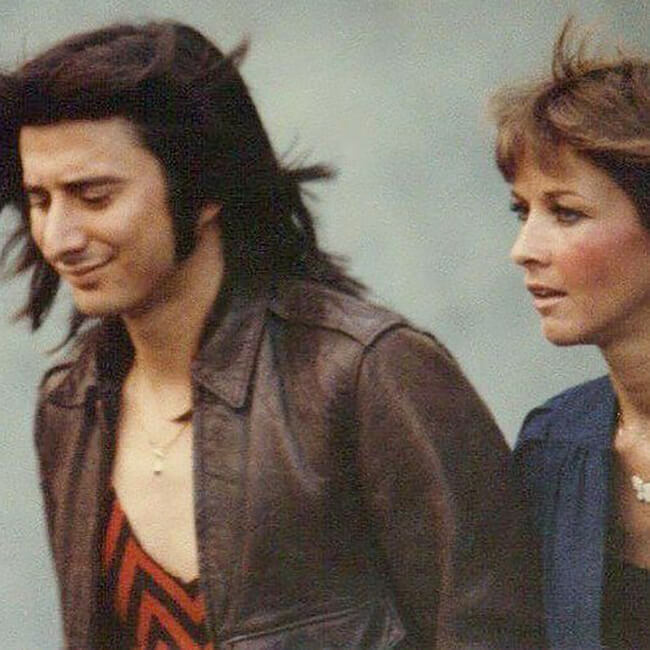 Steve Perry penned this classic tune about Sherrie Swafford, a woman he loved at the time. Swafford even appeared in the music video and solidified the duo as the Romeo and Juliet of the decade. Unfortunately, the relationship ended, but the song remains one of the best ’80s love anthems and was an MTV favorite back when music videos were the heart of the network. Today, the two are on good terms and Sherrie prefers a quiet life of yoga and gardening. Who doesn’t bop their head to this 1979 jam?! 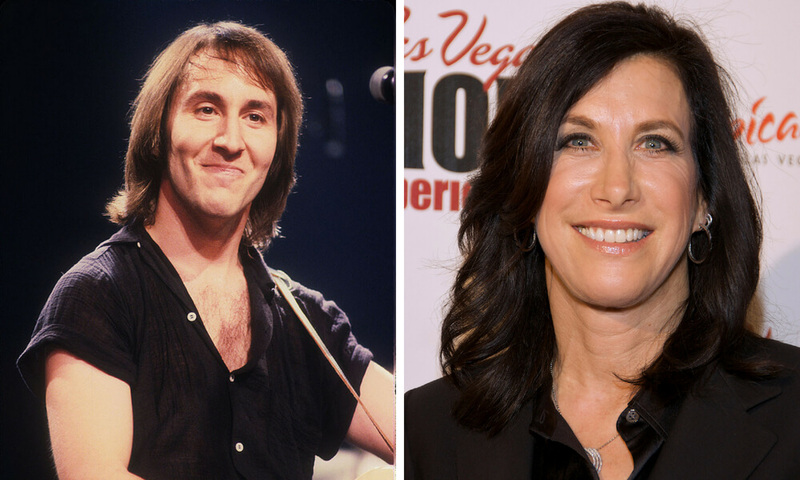 The Knack’s Doug Fieger was head over heels for Sharona Alperin, who was 17 at the time; he was 25. One of the band’s biggest hits, “My Sharona” was written in 15 minutes. Fieger revealed how falling in love with Alperin felt like a baseball bat hit him in the head. Ouch? Alperin went on to become a realtor in Los Angeles and currently promotes her listings on her website, mysharona.com. How appropriate. Whoa! Talk about recycled feelings! Billy Joel originally penned his 1983 hit, “Uptown Girl,” about 19-year-old Australian supermodel girlfriend Elle MacPherson. Soon after the pair split, Joel started dating model Christie Brinkley. The song was released two years before the two tied the knot, so it looks like both women inspired the lyrics. Joel later stated that Frankie Valli and the Four Seasons inspired the melody, but we think otherwise. 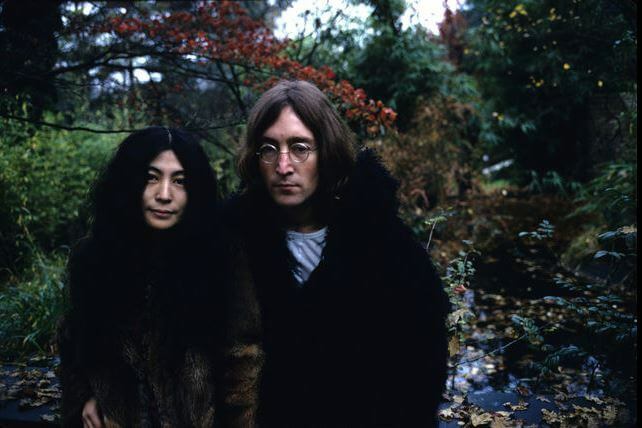 An ode to his wife, Yoko Ono, John Lennon’s “Woman” was featured on the album that he and Ono collaborated on shortly before his death in 1980. Three days before his was killed, Lennon stated in an interview with Rolling Stone that the song was considered to be a “grown-up version” of his song “Girl.” The track is also known to be a tribute for all women. Up next: the woman who inspired a Rolling Stones classic. 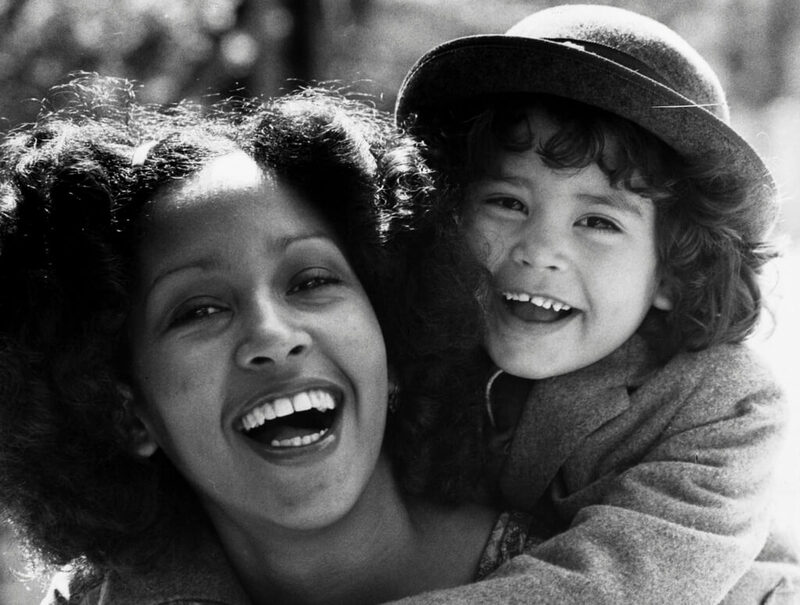 Mick Jagger seemed to be the serial dater of the classic rock era but his brief, “secret” relationship with model-singer Marsha Hunt didn’t go unnoticed. The pair even had a daughter together, Karis Jagger. However, many women have claimed to be the inspiration behind The Rolling Stones’ 1971 hit, “Brown Sugar,” including singer Claudia Lennear. But Hunt insists that the song was most likely written about her considering the circumstances. 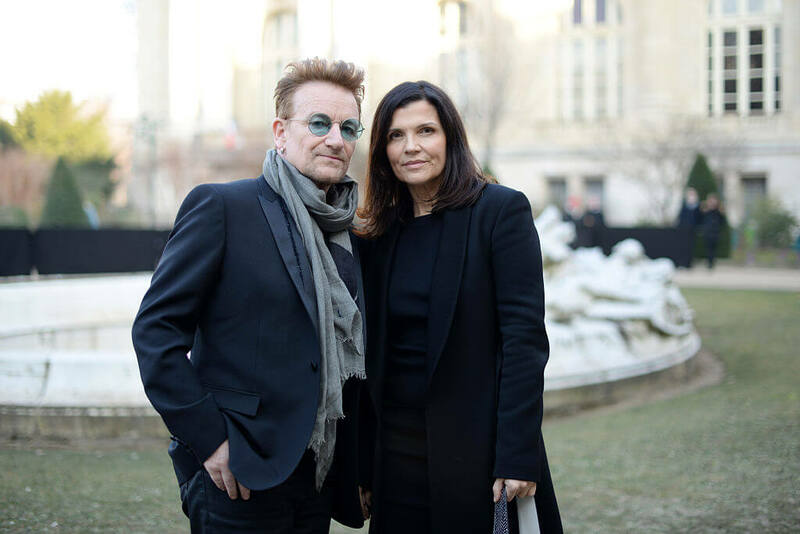 U2’s Bono penned their 1987 hit, “Sweetest Thing,” as a tribute and apology to his wife, Ali Hewson for neglecting her and missing her birthday because of all the hours spent recording The Joshua Tree. U2donated the profits from the single to Hewson’s charity of choice, Chernobyl Children’s Project International. The song was originally released as a b-side of “Where the Streets Have No Name,” but in October 1998, it was re-recorded and re-released as part of the band’s hit compilation album, The Best of 1980-1990. Where do we find a man like that?! Originally released in 1973 as a tribute to Marilyn Monroe, Elton John’s “Candle In The Wind” later served as another tribute to Princess Diana after her shocking death in 1997. 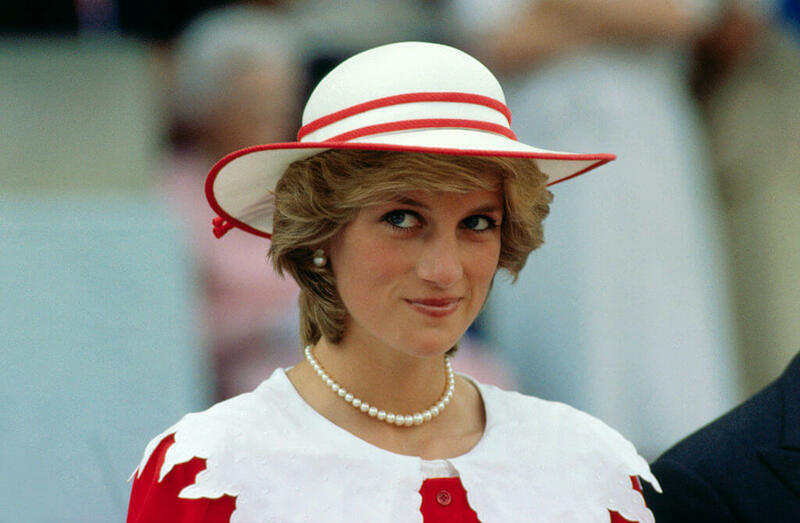 Sir Elton John was given the honor to perform the song at her funeral, so lyricist Bernie Taupin altered the words to fit Diana’s circumstances. The re-vamped 1997 version proved to be a greater success than the original as it helped the world deal with such a sudden and tragic loss. At the time of the song’s release, Gabriel and Arquette lived together, so there was some definite speculation of her being his muse. The couple sadly broke up in 1992 but Arquette went on to star in Pulp Fiction and Showtime’s Ray Donovan. 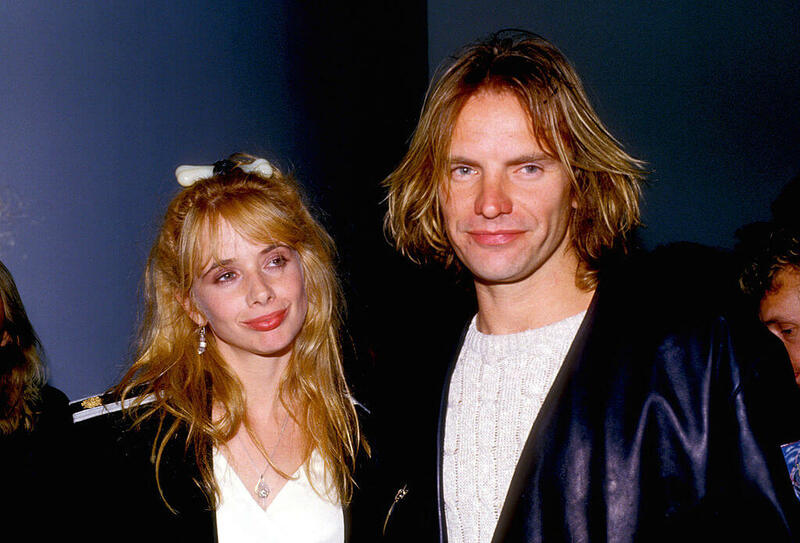 Rosanna Arquette is the mother of actors David Arquette and Patricia Arquette. 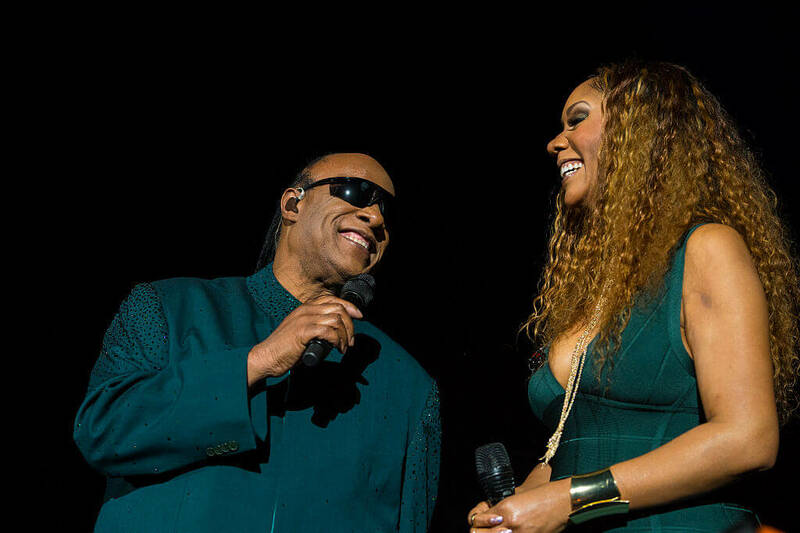 This sweet ode to Stevie Wonder’s daughter Aisha Morris was released in 1976 and is still one of Wonder’s top hits today. The song was inspired by the birth of Aisha and fuses Wonder’s signature jazz and pop sensibilities. In 2012, Wonder performed the song live for Queen Elizabeth II at her Diamond Jubilee Concert with lyrics modified to refer to the Queen. 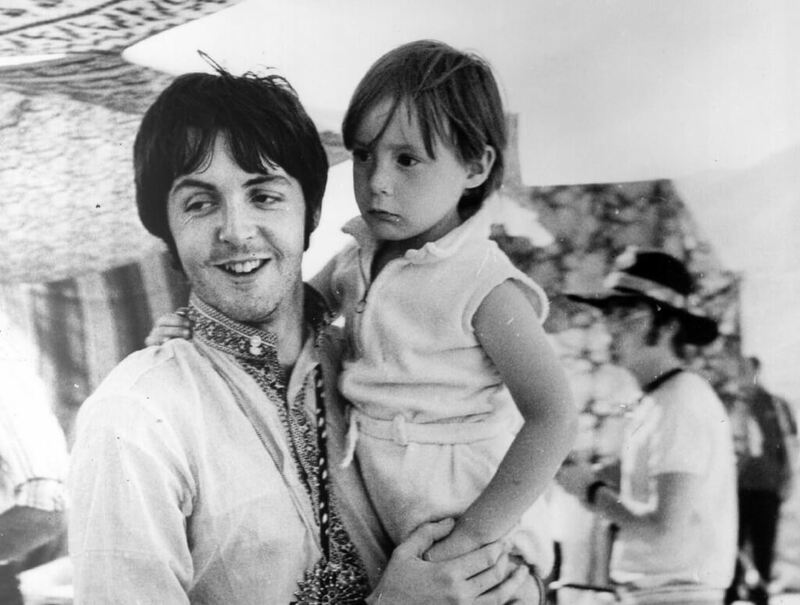 Paul McCartney penned “Hey Jude” to John Lennon’s son, Julian, to comfort him when Lennon and then-wife Cynthia Lillian Lennon got divorced in 1968 because of Lennon’s affair with Yoko Ono. Evolved from the ballad, “Hey Jules,” “Hey Jude” came to McCartney during a visit to see Julian and Cynthia as he found it hard to come to terms with them both being out of his life so suddenly. Cynthia was very touched by McCartney’s concern and was part of the social circle of The Beatles even before the band rose to fame in 1963. Eat your heart out, Taylor Swift. Carly Simon has been shaming men since 1972. In her classic, “You’re So Vain,” Simon penned the anthem for a self-absorbed lover. In 1973, Simon told Rolling Stone that the song was not about James Taylor even though he assumed it was, because he was, well, vain? Simon also confirmed to the Washington Post that the song was not about the Mick Jagger either. In 2009, Simon’s publicist told CNN that the song was about a person named David, which led many people to believe the song was about David Geffen. Simon dismissed that one, claiming she had never met the music industry mogul. There have also been speculations about actor David Cassidy and singer David Bowie, leading us to believe that the best song meanings are often the best-kept secrets. Simon later told People magazine was inspired by Warren Beatty. This one always makes people second-guess but once you hear it, you can’t un-hear it! 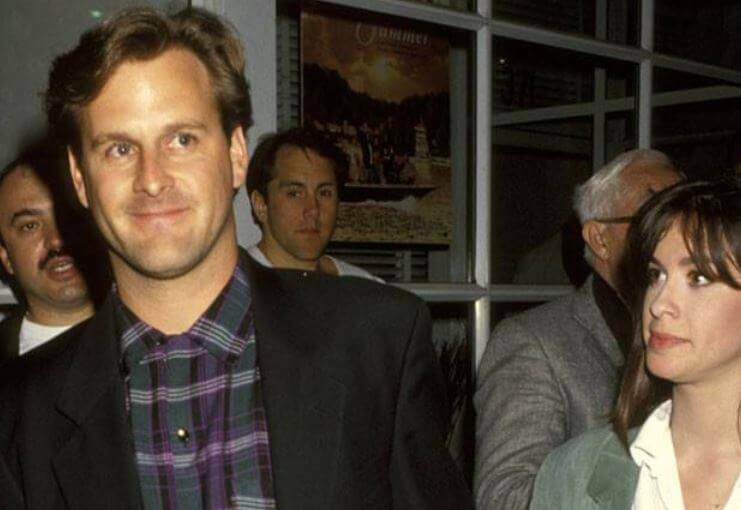 It turns out Alanis Morissette’s 1995 hit, “You Oughta Know” is supposedly about the singer’s relationship with Full House star, Dave Coulier. It’s hard to imagine sweet Joey Gladstone in a theater doing…that, huh? Other celebrities rumored to be the behind the song are Mike Peluso, the ice hockey player for New Jersey Devils, Friends actor Matt LeBlanc, and musician Leslie Howe. Morissette refuses to spill the beans about who her songs are about and prefer people to perceive her work as more about the process of personal expression and her private experiences.